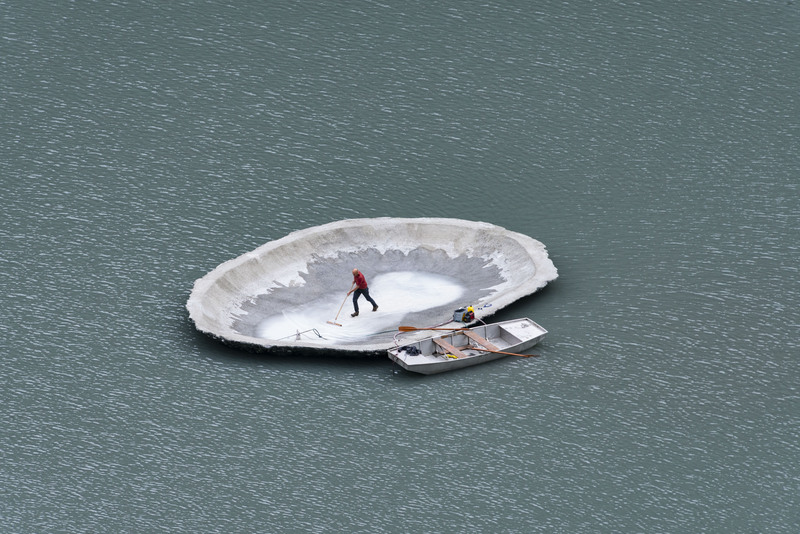 Art Safiental » Save Egschi Shell! For reasons of power production, the hydro powerplant Kraftwerke Zevreila emptied the artificial Egschi Lake last week. During this manoeuvre, the shell hit the ground and got damaged. that’s why it is currently under water. Upcoming weekend the reservoir will be emptied again which gives us back the shell. Then we are checking the damages and start planning its rescue. 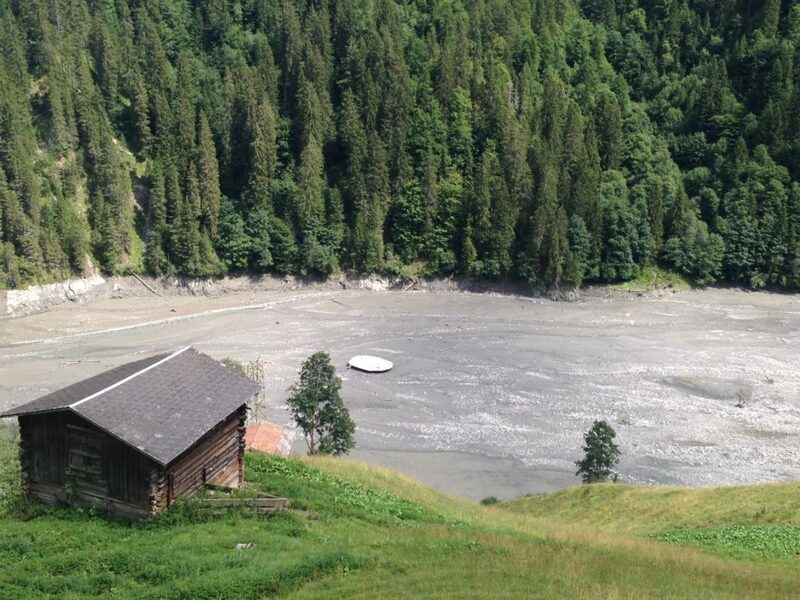 Even the mayor of Safiental called and is willing to support the second life of “Egschi Shell”. 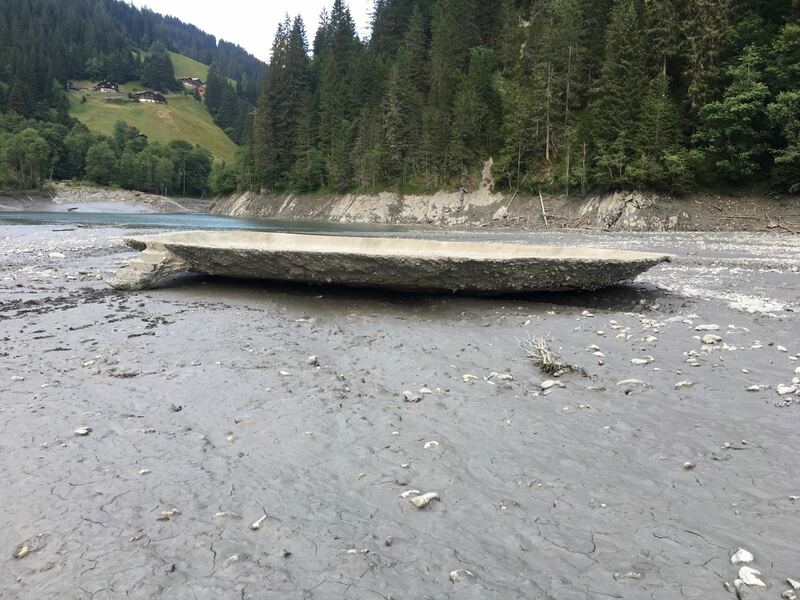 – update 2.8.: the water in the lake is currently so low that the shell is on view again, it can also be visited. Currently they are testing the possibilities to make the shell float again. update 10.8.: due to the ongoing heat period, lake Egschi is still without water. this means also that the shell is still on dry ground and not floating, but can be visited.